Merry meet and merry greet to all who have found us. Thank you for stopping by! Grab a beverage and a snack if you want and curse our pages for informative and interesting articles about many different pagan paths. If you would like more information on a specific topic please let us know by sending an email to covenlifescoven@gmail.com and we will see what we can do about getting you some information posted on the website. Please do not expect a direct email to you from your inquiry for the topic you ask about. 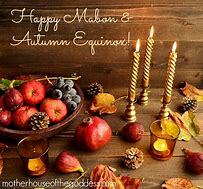 Lady Abyss and Lady Beltane have put their heads together to bring you a bi-monthly newsletter full of spells, rituals, ideas for the next upcoming Sabbat in both Hemispheres, recipes for magickal potions and herb mixtures. We’ll also include articles on The Craft and what is happening with it around the world plus some surprises along the way, like guest writers. We will try our best not to include anything in the newsletter that you could read on either or both of the websites. We hope to have the first issue ready to email out on March 1, 2019. This issue will be free to all followers of Witches of The Craft and Coven Life websites. Cost after the first issue will be $4.00 USD each or $20.00 USD per year (six issues total). Each issue will be delivered as a PDF right to your email inbox so you can save or print all or parts of each issue. We hold online coven gatherings for either the New or Full Moon Esbats and all Sabbats open to all pagan who would like to join us. We also hold online, more or less, work at your own pace Novice and Adept lessons. For more information on novice classes scroll over “Novice Class Info” and click on “Classes” in the drop-down box. An outline of Adept Lessons will be posted there soon. We host open chats twice a month for people to stop in for as long as they like to get to know others in The Craft, questions and answers about The Craft. or whatever anyone wants to talk about within reason. This is not a place to try to hook up with anyone for a date! Please reCurtsey Guidelines above before entering the chatroom for coven gatherings and/or the open chats. Thank you! Under no circumstances do we do any type of spells and/or rituals for individuals. So please do not even ask us if we would.